Tomer Singer, M.D. FACOG is the Director of Reproductive Endocrinology and Infertility and the Residency Program Director at Lenox Hill Hospital. He is also the Director of the Egg Freezing Program at Northwell Health. He is board certified in Obstetrics and Gynecology and in Reproductive Endocrinology and Infertility by the American Board of Obstetrics and Gynecology. 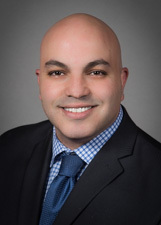 Dr. Singer joined The Center for Human Reproduction in 2012 following his residency training at Lenox Hill Hospital and subsequently completing his subspecialty training in Reproductive Endocrinology and Infertility at the Weill Cornell Medical College in Manhattan. Dr. Singer continues to share his knowledge educating the next generation of physicians as an assistant Professor at the Hofstra North Shore LIJ School of Medicine. Dr. Singer received his Bachelor of Medical Science and Doctor of Medicine degrees from the Sackler School of Medicine, while there he was granted the Dean s Honor Award. Following his time at the Sackler School of Medicine, Dr. Singer completed his Ob/Gyn residency training at Lenox Hill Hospital in New York City. At Lenox Hill, Dr. Singer performed hundreds of surgical procedures, further honing his award-winning minimally-invasive surgical techniques. He then became chief resident in the Ob/Gyn program, where he oversaw and educated a group of 12 physicians. His work at Lenox Hill was greatly respected and commended with multiple awards including the John O. Vieta Best Resident Award, Best Teacher Award and Best Resident Research Award. Dr. Singer then began his subspecialty training at the Weill Cornell Medical College in Manhattan. Focusing on Reproductive Endocrinology and Infertility, Dr. Singer researched a variety of topics related to infertility, including egg donation, in-vitro fertilization success rates, preimplantation genetic diagnosis/preimplantation genetic screening, minimally invasive gynecological surgery and infertility-related ultrasound. His research has been published in highly respected medical journals and also been presented at national and international conferences including the American Society for Reproductive Medicine, the Society of Gynecological Investigation and at the American College of Obstetricians and Gynecologists. Dr. Singer is the recipient of numerous awards including the ASRM Resident Reporter Travel Award, the American College of Ob/Gyn Resident Research Award and the John M. Thorp Research Award. Dr. Singer is associated with numerous highly respected organizations within the medical field. He is a member of the American Society for Reproductive Endocrinology, the Society for Reproductive Endocrinology and Infertility, the Society of Gynecological Investigation, and a fellow of the American College of Obstetrics and Gynecology. To learn more about Dr. Singer s research in the infertility field, you can visit his research library on the National Institute of Health. "i felt comfortable and very well treated through dr singer. he was attentive, patient, very polite, explained everything well. I would recommend him definitely and am coming back myself to be treated by him"
"Dr. Singer will spend as much time with you as you need to feel comfortable and confident"
"Dr. Singer is a spectacular care provider and his personality makes the whole experience way better. Always recommends him!" "Was very pleased for a first visit." "I was even in a rush & Dr. Singer was cognizant of it and expedited my visit!" "The physician explained all thoroughly verbally and with illustrative diagrams on computer and I felt I was in excellent hands!" "Dr. Singer seemed genuinely concerned about my issues, he made my husband and I feel like a priority and never made us feel rushed. I left my appointment feeling reassured and confident." "He was amazing. Dr. Singer explained everything and calm my anxiety towards the treatment. " "Dr. Singer is super friendly, explains in detail about the process and procedure which made me feel at ease. " "Dr. Singer is a great physician. He listens and responds to all my questions. He explains things thoroughly. Dr. Singer personally called to check on me after my egg retrieval, day 3 to explain the status of embryos, and when my hcg test was negative. I feel confident under his care and I appreciate his empathy and friendly personality." "I only had a brief visit with Dr. Singer as there was not much we needed to discuss. However he was kind and considerate of my feelings." "Dr. Singer was a dream. I'd recommend him in a heartbeat!" "dr Tomer singer is the most amazing!" "Tomer is the best & his bedside manner is exceptional just a very caring human being - genuine." "I already have recommended him!" "Dr. Singer is an amazing compassionate physician. He took his time listening to me and helped me to understand the treatment I need . He is definitely a physician I will refer to everyone." "Dr. Singer is caring, professional and approachable. I felt comfortable with him, from the first visit and with every appointment. He called me with every good and bad news, explained and reassured that things will be ok, and they did. thanks for Dr. Singer, I fulfilled my dreams and become pregnant. I will be forever greatfull. He succeeded where other doctors failed." "I have already recommended Dr. Singer." "I would recommend to everyone!" "Excellent medical team especially Dr. Tomer Singer." "Dr. Singer is one of the kindest, most knowledgeable dr.'s I've had the pleasure to work with." "Given the large amount of detailed information, written instructions would be really helpful. All verbal instructions were clear & complete." "Dr. Singer took the time to care for me and even called me outside of office to follow up. Very good doctor!" "This doctor is so busy because he's sharp, knowledgeable and has a great personality." "Dr Singer is the best OB/GYN I have ever had!!! Highly highly recommended." "Dr. Singer is an excellent doctor - he has all the qualities you would want in a doctor." "Always takes the time to explain any medical diagnostic/procedure in ways that is easy for me to understand." Tomer Singer, MD, comments on a study that found that lesbian and gay couples may be able to produce offspring that share genetic traits from both parents. Since its conception in 1978, in vitro fertilization (IVF) has changed the lives of millions of couples struggling to start a family. Dr. Tomer Singer, director of reproductive endocrinology and infertility at Lenox Hill Hospital, discusses the groundbreaking procedure and the future of infertility treatments. Tina and Benjamin Gibson’s newborn, Emma, arrived just in time for the holidays. But, she was conceived in 1992 and spent 24 years as a frozen embryo. 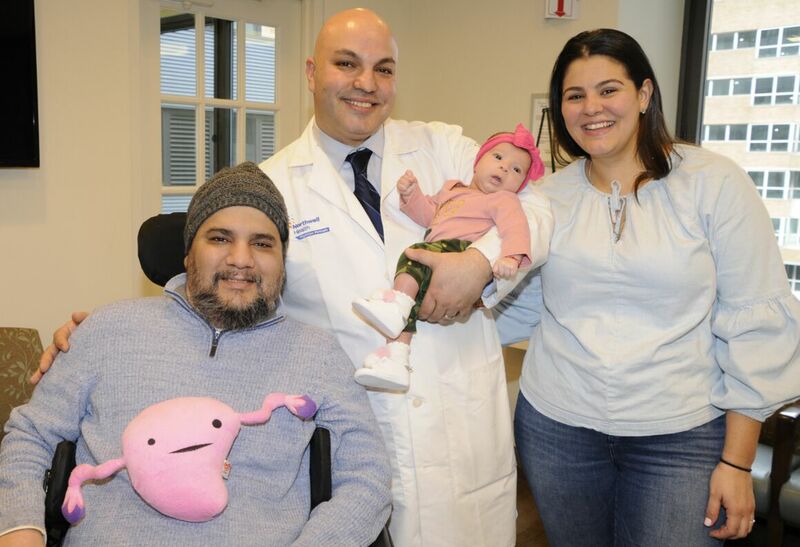 Dr. Tomer Singer, reproductive endocrinologist at Lenox Hill Hospital, explains how in vitro fertilization can bring a happy, health baby so many years later. A baby boy in Mexico is the first to be born with DNA from three different parents. In an attempt to save him from a genetic disorder, the child was conceived using a controversial fertility technique. Dr. Tomer Singer, Director of Reproductive Endocrinology at Lenox Hill Hospital, gives his thoughts on the procedure and its possible risks. Designer Babies: Should Parents Be Able to Choose Their Child’s Gender? Pregnant model Chrissy Teigen recently faced backlash when she revealed that she specifically chose a female embryo during IVF as she wanted to have a daughter. Reproductive Endocrinologist Dr. Tomer Singer explains how the trend of gender selection has increased in recent years.